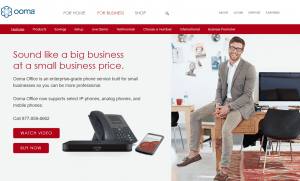 Ooma, a company established in 2004, is mostly known for its home service, Ooma Telo, but it also provides intelligent handsets, wireless devices, home security solutions and, most importantly, a complete business cloud phone system dubbed Ooma Office. If you decide to become an Ooma subscriber and pay the price of the devices once, you get business-grade features like unlimited virtual extensions, business and holiday hours, ring groups and the like. All of these can be managed from a super simple account manager, either from a computer or your mobile device. Furthermore, you also get such rarities as conferencing, virtual faxing, an intelligent virtual assistant and even voicemail transcription. With Ooma Office you can hook up 20 people to the same system, allowing them to place completely free of charge calls to American and Canadian phone numbers without paying a fortune. Ooma also allows you to choose from a huge selection of complementary devices, such as the unique Linx, pre-configured IP phones and even expansion modules. And if you need help in troubleshooting, you can always turn to the versatile customer support. If you need the most important enterprise-grade features of a cloud-based phone system, Ooma Office will definitely satisfy your needs. 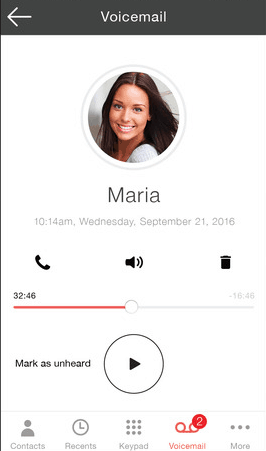 As always, you have the option to put on hold or forward/transfer your calls to another device (whether it is a desk or a mobile phone), send to voicemail or even to your virtual receptionist who can answer calls with customized greetings. 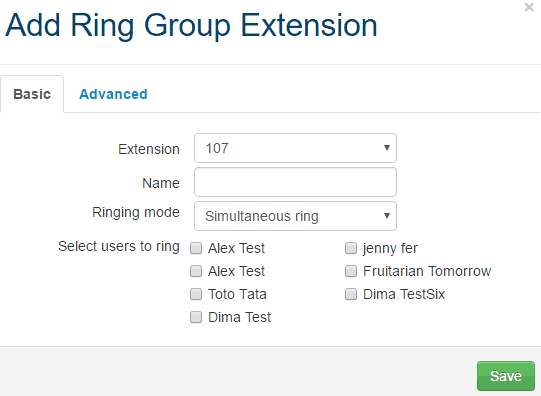 If you want multiple phones to be called at the same time, you can do that by setting up a ring group, but you also have the option to create as many extensions as you want, each of them coming with their own voicemail accounts. 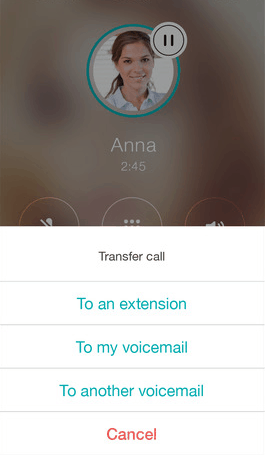 Speaking of extensions, you can allow your callers to dial the owner of the desired extension directly (by name or extension number), provided that said person doesn’t opt for the Do Not Disturb option with which calls can be automatically sent to voicemail or disconnected. The same options apply during the setup of business and after hours, with which you can decide where calls should be directed when your office is closed. However, you can also choose to return or simply not answer a call because the system automatically identifies all of your callers (in other words, no hidden numbers), while you can opt for being hidden by using your business phone number – even if you are out of office using the Ooma Office app. Whether you are the admin of your Ooma phone system or just an end user (the owner of an extension), you are always greeted by an extremely simple, brutally straightforward account manager. 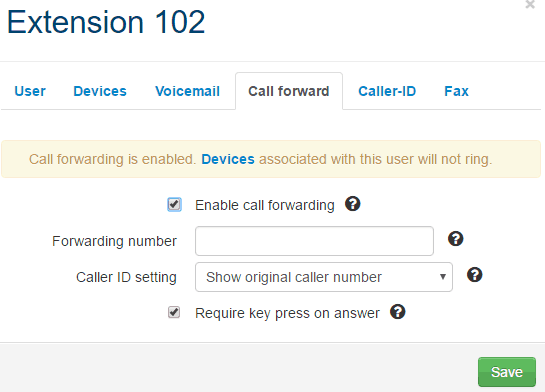 Granted, as an end user you can only access your voicemail account and call log, manage your voicemail, call forwarding options and your caller ID, and customize your profile, but you can start calls from your account (by ringing your own extension) and even send faxes if that extension is enabled. However, if you want full access to everything Ooma’s account manager is capable of, you have to be the account’s admin. The admin portal itself is similar to the end user portal, but it consists of 5 separate tabs, namely Home, Manage, Account, Add-ons and Support. Home is where the admin can access the joint and individual call and fax logs and enable the conference server, while the most used Manage tab is where you can handle the extensions, phone numbers, the virtual receptionist, the conference server and the base stations. Speaking of the virtual receptionist, that’s one of the most interesting features of Ooma Office and it’s also pretty easy to handle: not only can you set up the auto-read initial greeting, but you can determine what should happen when the caller presses a certain dial key. Setting up other things, such as users, extensions and phone numbers is also pretty simple; in fact, you can combine them any way you want, so users can have more extensions and more phone numbers associated to them at the same time. 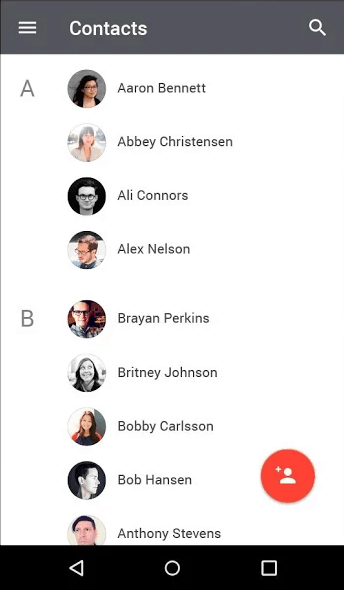 There are three extra features worthy of your attention: voicemail transcription, the conference bridge and the virtual faxing option. The first option speaks for itself, while the conference bridge is basically an additional extension that requires the purchase of a separate phone number (and costs extra, too). 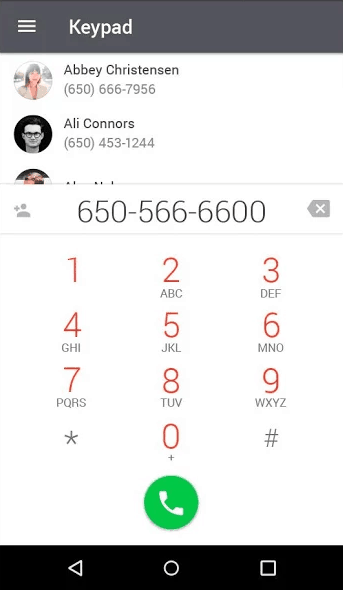 Once the conference server has its extension with a separate phone number and you have provided an ID and a participant PIN, you have to let the conferencing parties know the conference server’s phone number. All they need to do is enter the ID and the PIN to be connected to your system. However, you have the option to create a simpler, 3-way conference call as well by simply merging your current and on-hold call together with a special key command. 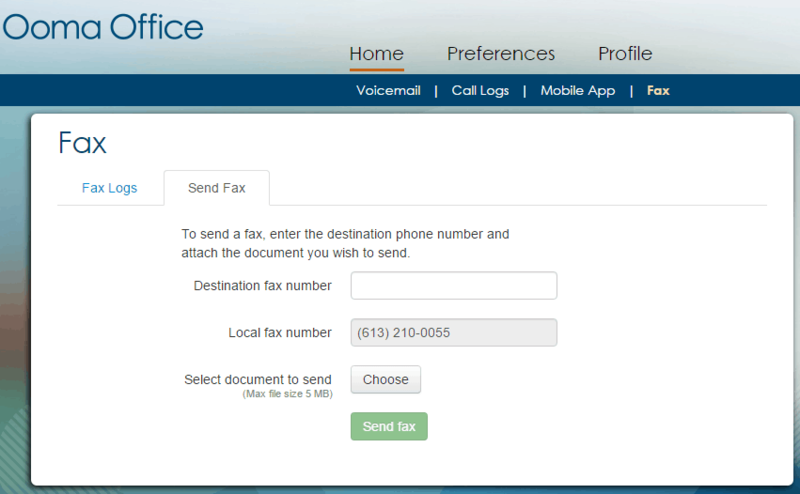 The last remaining extra feature is the virtual fax that also requires its own separate phone number and extension. Unlike many virtual phone system providers, Ooma supports both inbound and outgoing faxing, provided that the fax you send is in PDF format. As for incoming faxes, they arrive to the dedicated phone number and are then converted to an email attachment in PDF format. The number selection of Ooma Office is not very big: in fact, your subscription comes with either a local or a toll-free number. This means that if you want to purchase an office-grade VoIP solution with a true 800, a vanity or an international number, you will have to pick another service. However, the number of additional local/toll-free numbers or fax/conference-line extensions is not limited at all, provided that you pay an additional $9.95 per month per number. Furthermore, each and every new service you add to your existing system requires you to pay a one-time $9.99 activation fee, an amount that also applies when you start using Ooma’s services for the first time. 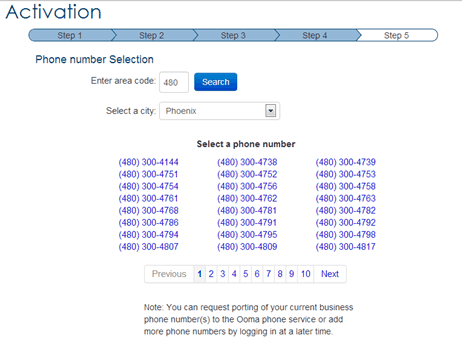 Speaking of first use, unlike Ooma Telo, number porting is free of charge. However, due to the long, 21-day processing Ooma recommends users to refrain from cancelling their old services before the old phone numbers are properly ported. The completely identical Ooma Office iPhone/Android apps can basically be considered a mix between a regular desk phone and the account manager. In fact, the Ooma Office app can completely substitute desk phones, especially if you have Wi-Fi in your office. In short, you get the same call related features you would normally access from a regular device with the option of actually carrying it in your pocket. Furthermore, the app also supports 3G/4G/LTE networks, meaning that you can place and receive your office calls anytime from anywhere – provided that you log into your Ooma account. Like we mentioned above, the app doesn’t limit you in what you can do with your account: not only can you check your voicemails, but you can also access other workers’ extensions, transfer your calls and even make minor modifications to your entire system. 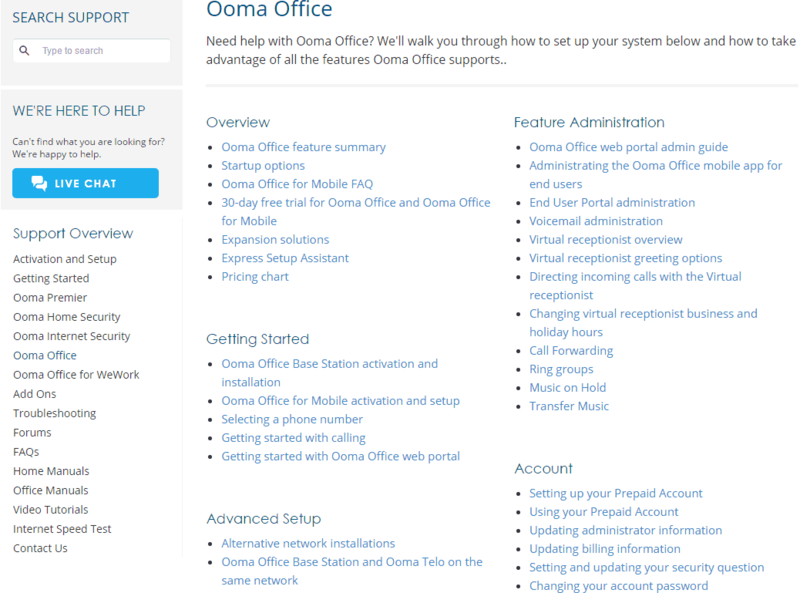 Third-party software integration is out of question for Ooma Office users – but the company compensates for that by allowing you to connect up to 20 analog phones or as many IP-phones as possible to your system. In the latter case you just have to bring your existing devices and set them up in your Ooma account or you can go for the pre-configured IP-phones starting from $69.99 per unit. However, the core of your Ooma service is the base unit, the expansion module and the Linx devices. A base unit is included in your subscription, allowing you to connect an analog phone to your system. Also included in your Ooma service are two Linx devices, which connect your analog phones to an electric outlet and to your system via radio signals. As for other analog devices, you can purchase up to 4 Linx devices per base station and/or 3 additional expansion modules. The pricing policy of Ooma Office is super simple: you just have to buy the Ooma base unit for $199.99, get it activated and delivered to your home for $9.99, and then use the system for $19.95 per month per user (20 at maximum). All Ooma Office subscriptions come with all features the company promises alongside unlimited, completely free of charge phone rates for calls within the U.S. and Canada, and low rates for international calls. Like we said before, you have the option to buy additional items, such as the Linx wireless devices ($49.99 per each), expansion modules ($99.99 per each) and 4 different pre-configured IP phones for as low as $69.99. You also have the option to buy an extra annual warranty for your devices, but the annual fee for this is $39.99. All devices come with a 30-day money back guarantee, ensuring you have the option to cancel your services should anything go wrong. However, keep in mind that the cancellation time is 5 business days and you have to purchase your devices directly from Ooma to be able to truly enjoy the money back guarantee. And before we forget: if you are an Alaskan resident, Ooma is unavailable for you. 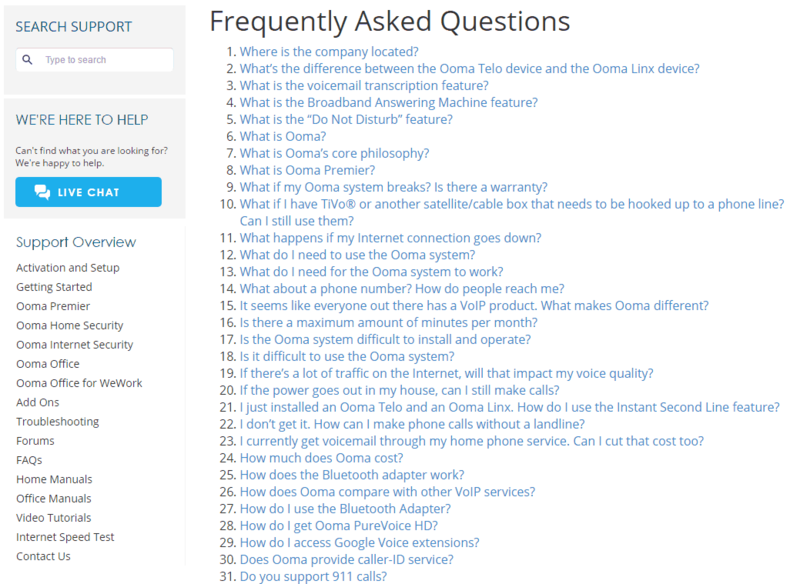 Ooma’s customer support is pretty versatile if we take into consideration all options. First of all, the company is very active on all major social media pages, even LinkedIn and Google+. 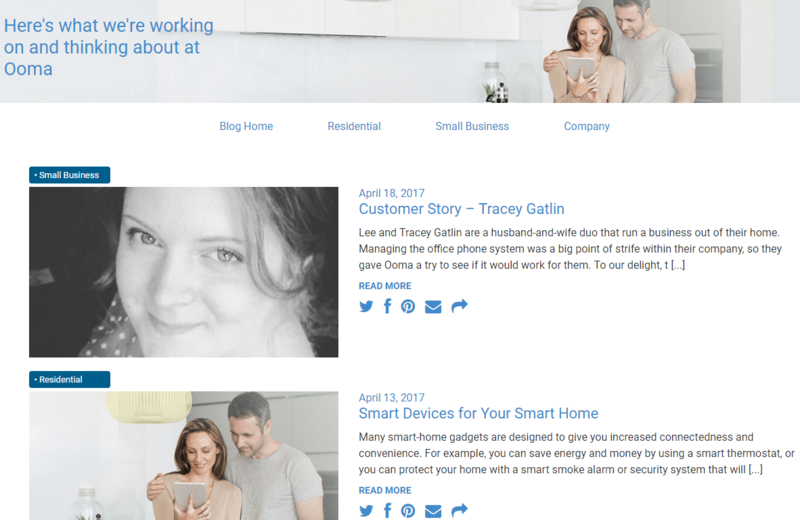 Second, Ooma also frequently updates its blog with news related to its home and business services, and many other things that connects to VoIP in general. Third, it has two FAQ pages: one for general questions and one for true troubleshooting. Speaking of that, we suggest visiting the support page where you can find solutions to your problems in a jiffy, alongside video tutorials, internet speed tests, manuals and so on. With all that in mind, it is quite sad that the regular support, such as via phone, email or chat, is nothing but mediocre. 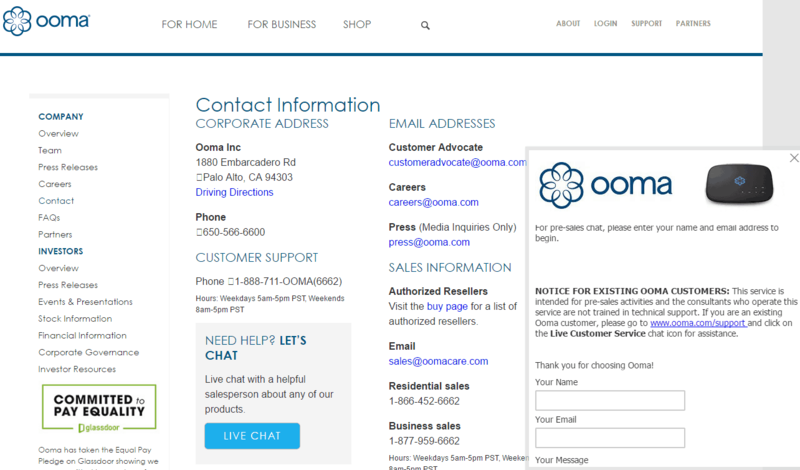 Even though the staff is available every day (albeit not 24/7) and the company also provides live chat support, the biggest problem is the fact that Ooma only allows users to cancel their services over the phone. Plus it won’t take back any devices purchased from anywhere but the company’s online store. 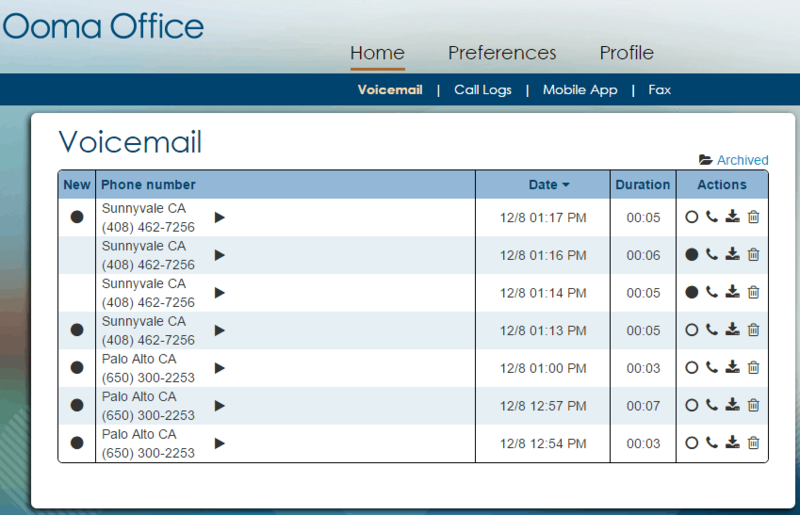 Ooma Office is a good solution for anyone planning to make the big move from landline to VoIP. Although it has plenty of enterprise-grade features and a very simple account manager, it’s pretty far from flawless, mostly because it is only scaled for SMBs due to the number of users being limited to 20. It is also limited where the local/toll-free phone numbers are concerned (you can only pick one), plus any additional number costs extra, including the faxing/conferencing lines. And we haven’t even mentioned the phone-only cancellation method where the place of purchase determines whether the devices will be taken back or not. However, Ooma Office shines in everything else: you get a very reasonable pricing policy with unbeatable $0 local call rates, money back guarantee on all devices/services you use, an outstanding customer support, and a top-notch mobile app uniting the powers of your phone and your account manager.